It appears Syria's recent and continued Internet outage has rekindled public interest in Google's Speak2Tweet service. 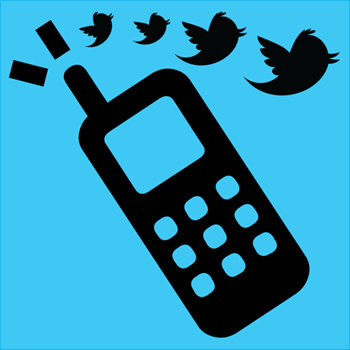 Speak2Tweet allows individuals without Internet access to use Twitter by calling a voicemail system. The audio messages left behind are then made publicly available on Twitter. Update (12/1): CNN informs that voice communication and Internet service has been reestablished in most regions of the country. The news come about 48 hours after the blackout, as reported by the Syrian Observatory for Human Rights. The original story follows below. Unfortunately, the service isn't entirely magical -- sound isn't instantly transmogrified into text automatically. Although audio clips are arguably less useful than searchable, hashtaggable, read-at-a-glance tweets, Speak2Tweet does provide disconnected Syrians a rudimentary method of Internet communication. If the past is any indication though, worthwhile voicemails are likely to be transcribed into text by volunteers, published to a Google Docs spreadsheet and possibly retweeted. Google does have some rather incredible voice translation capabilities -- it would be interesting to see such technology applied to a service like Speak2Tweet. Admittedly though, some of my poorly transcribed Google Voice voicemails are a riot to read. Perhaps volunteers are the way to go, after all. Another problem Syrians face are reports of landline and cellular disruption. Afflicted with no access to phone or Internet, some Syrians have turned to satellite communications to keep in touch. Rebel forces have relied on satellite phones for some time now. Previously, Speak2Tweet was used during an Egyptian Internet blackout in 2011. Although some news outlets indicate Speak2Tweet had been out-of-service since then, Google told The Next Web that their Speak2Tweet has indeed remained active since its launch. The nation-wide Internet outage has entered its second day. Earlier reports claim that 84 IP blocks allocated to Syria went dark. As some Techspot readers noted though, pockets of Syria's network remain operational. Unfortunately, Renesys -- the company who first noticed the possible blackout -- said today that the outage continues to worsen.